That support will come in the form of a later firmware update, however. Of the four 4K Ultra HD Blu-ray players we reviewed in 2016, only one even hinted at Dolby Vision support. But as we’ve seen so far at CES 2017, that will change in the coming year. 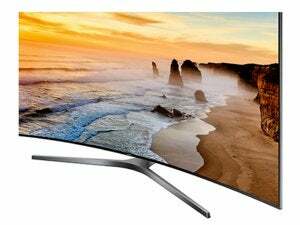 Multiple vendors have announced their adaption of Dolby’s high dynamic-range technology—in fact, a very large percentage of this year’s HDR TVs will feature it. Ready to pair with them will be LG’s UP970, a 4K Ultra HD Blu-ray player with Dolby Vision. It won’t ship with that feature, however. Instead, a post-launch firmware update will enable it. It should arrive about the same time as 4K UHD Blu-ray discs featuring Dolby Vision. LG’s new UP970 will receive Dolby Vision support via a firmware upgrade later in 2017. The expansion of Dolby Vision support will be a boon to home-theater enthusiasts. Unlike the currently more common HDR10 standard, which tells a TV how to render HDR content just once at the start of a movie or show, Dolby Vision can relay information for scene-by-scene or even frame-by-frame optimization throughout. TVs using Dolby’s tech, including those with limited peak brightness, can render more subtle details in light and dark areas, all the while still outputting the signal over HDMI 2.0/2.0a. HDMI 2.1 also supports dynamic metadata, but it won’t arrive for quite some time. Regardless, this announcement strengthens the case that Dolby Vision is a must-have feature for the new year—at least until HDMI 2.1 ports are in play, and likely even then.